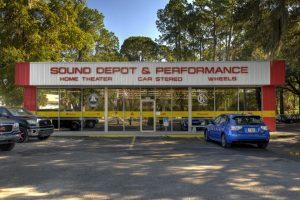 At Sound Depot & Performance in Gainesville, we are experts in vehicle security and convenience installations. It’s not a one-size-fits-all approach. We assess the needs of every vehicle and parking situation to recommend solutions that truly enhance the security of your vehicle, its belongings and make the operation a seamless experience for you. True vehicle security is peace-of-mind that ensures your car is protected. We offer a wide range of security systems with optional sensors for every situation. A shock (sometimes called “impact”) sensor is standard, but we can easily add glass, digital tilt or proximity sensors for specific needs. For example; many open top vehicles like convertibles or Jeeps benefit from a proximity (also called “radar”) sensor to detect movement while the vehicle is open. 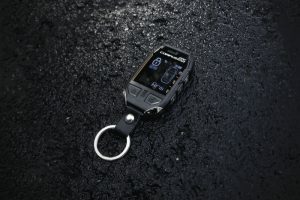 Another example; vehicles with premium wheels and tires benefit from a digital tilt sensor to thwart the probability of thieves jacking up the car and attempting to steal the wheels. Of course opening any entry point, activating the ignition system or attempting to disable the system also triggers an alarm. 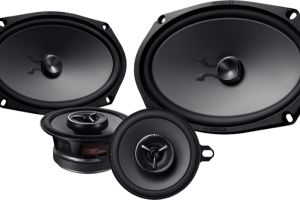 Response sounds can be one or multiple electronic sirens, we can honk the factory horn (together with sirens or in lieu of a siren) and we can even add multiple piezo sirens (often called “pain generators”) to the interior. To attract more attention we also flash the vehicle’s parking lights and can add additional strobe lighting to thwart thieves away. Our security systems also report trigger history so that you’ll know what set the system off rather than wondering. That brings even more peace-of-mind. 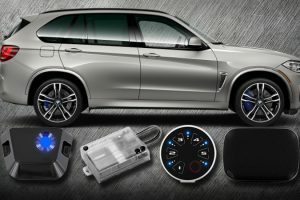 A small, hidden backup battery that charges with the vehicle’s own battery is an additional option to ensure security system operation in the event a thief attempts to disable the main battery. All of this can be controlled easily from one of our remote control options, making it very easy to use. Installation-wise, we solder all of our connections to ensure longevity and the best electrical performance. 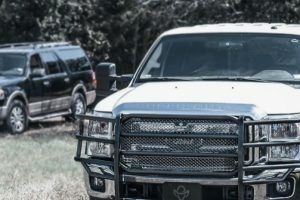 Whatever your vehicle security needs, we have the ability to personalize a system for your vehicle. We can add keyless entry to any vehicle. This offers the added convenience of locking and unlocking the doors by remote control. If you have existing power door locks, we can interface them to function with a remote control. If your vehicle lacks power door locks, we can add them and subsequently create the keyless entry feature. Keyless entry not only adds convenience, it’s an additional measure of safety. Some of our security systems have GPS tracking to enhance the ability to locate the vehicle. 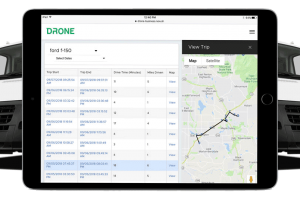 Whether it’s stolen and need to help law enforcement locate it, or you just want to keep tabs on your teen or elderly driver in the family, adding the GPS tracking ability lets you easily see where your vehicle is at all times. You can view the location on a smartphone or via computer in a web browser. Aside from the keychain remote control options to arm and disarm your security system, lock and unlock your doors, as well as activate other remote controlled functions, at Sound Depot & Performance we can configure your Android or Apple smartphone to control your security system too. It’s an option available with most of the security systems we offer and runs through an intuitive app on the device. As long as your vehicle is within cellular service coverage, you can control it with your smartphone from anywhere in the world. Nearly all of the security systems we offer can be combined with a remote starting feature. This allows the vehicle to be safely and conveniently started from a distance while still armed and locked. It makes pre- heating or cooling down the vehicle interior before entry a substantial benefit to the comfort of your drive. 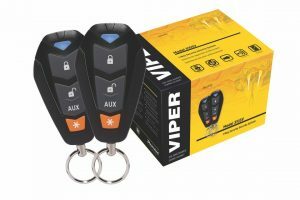 Read more about Remote Starters here on our website. Stop into Sound Depot & Performance and visit us today for a no obligation consultation and thorough demonstration of your vehicle security interests and needs. Whether it’s a brand new Mercedes-Benz or a restored classic vehicle, or anything in between, our product specialists and installation technicians know how to provide you with vehicle security solutions that’ll leave you feeling your car is truly protected.